On Monday 18th June 2018, the largest interdisciplinary research centre in Greece, N.C.S.R. 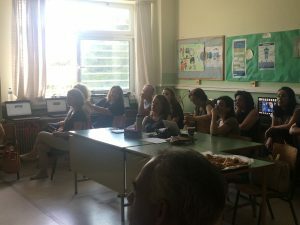 «Demokritos» and namely the Net Media Lab of the Institute of Informatics and Telecommunications, organized an Info Day (Training Day) for the teachers of the 6thPrimary School of Agia Paraskevi in Athens. 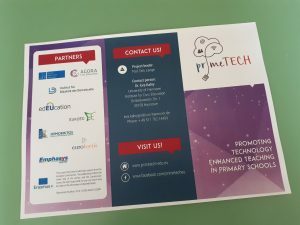 The training was organized under the Erasmus+ School Project «primeTECH: Promoting Technology Enhanced Teaching in Primary Schools» with the participation of six (6) organizations from six (6) different countries, namely Greece, Cyprus, Germany, Latvia, Romania and the UK. The main purpose of this project is to address the need in EU policies for high quality teachers, able to innovate using ICTs and for improved data on their digital competence which can lead to inclusive education. Through this Training, teachers had the opportunity to be informed about the project, its purposes and most importantly to familiarize themselves with the e-learning platform that was developed in the framework of the project as well as the teaching material that it hosts. 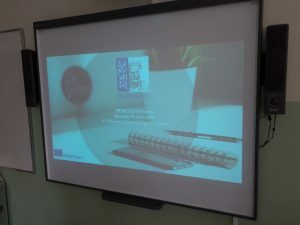 The info day was divided into two parts; at first teachers attended informative presentations about the project in general, the teaching material and the e-platform; then they had an actual practical training on the e-platform that included browsing the courses, quizzes and communication methods and actually taking a course by reading its books and taking its quizzes in order to earn digital badges. 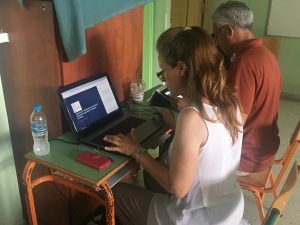 The Training was attended by twenty-one (21) primary school teachers and three (3) presenters of the Greek primeTECH Consortium. It was held on Monday 18 June 2018 from 10:00-18:00 at the 6th Primary School of Agia Paraskevi. 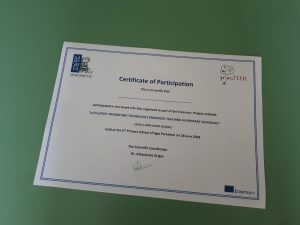 The feedback from the participants was very positive in most cases and the participants showed a genuine interest in taking the courses and using the new knowledge in their classrooms.